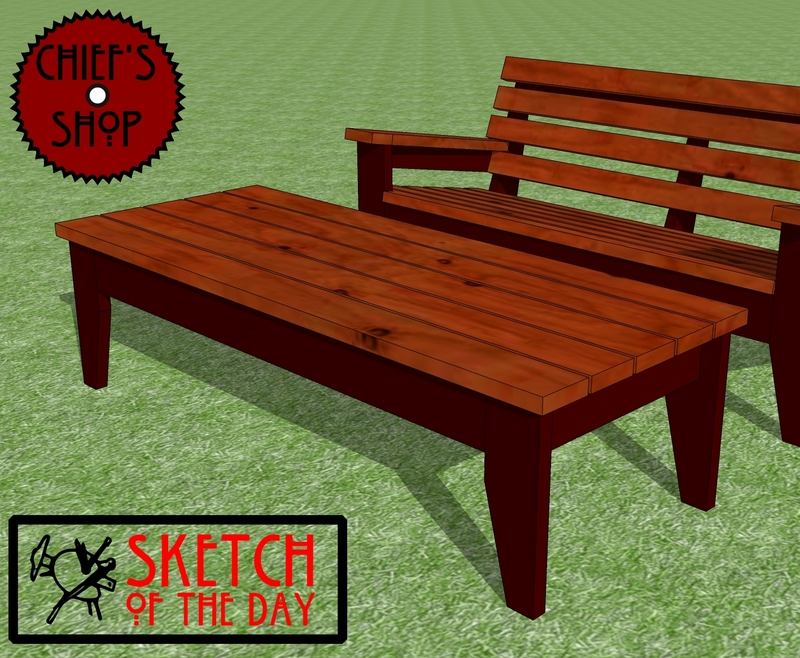 Yes, it looks like a coffee table or a bench, but this concept is meant to be a large ottoman for yesterday’s outdoor sofa. It’s a bit taller than either a coffee table or bench, but just right the right height for propping up your feet when sitting on the sofa. 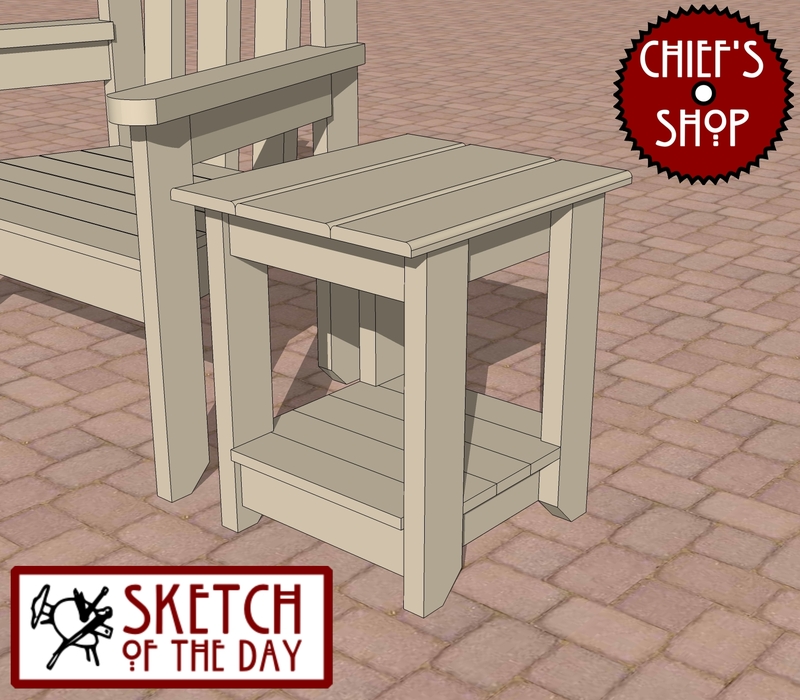 The Chief’s Shop Garden Stool – use it as a seat or as a step up when working in the garden. 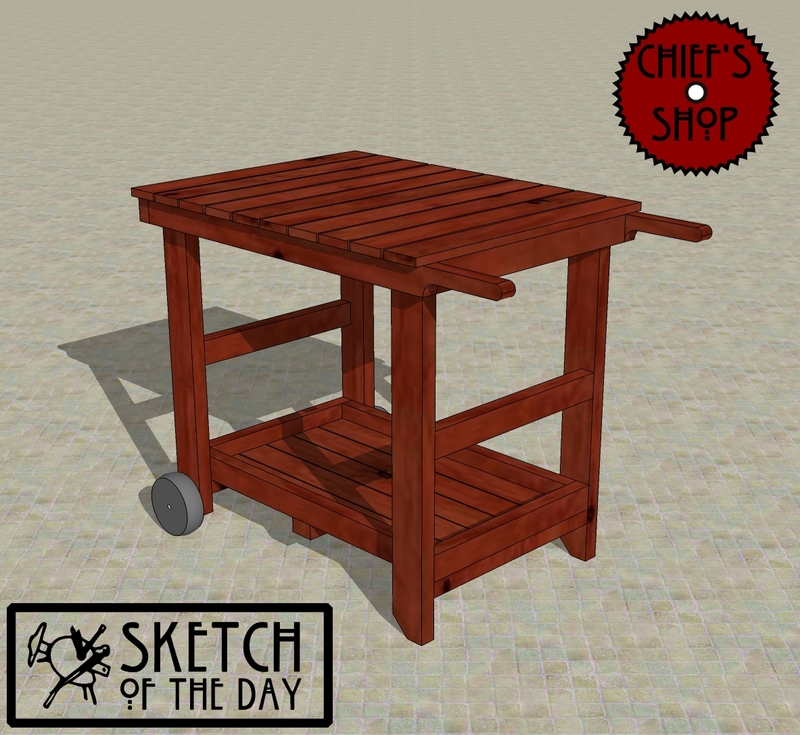 The shelf offers a bit of storage for tools and supplies. And when you’re done working, you can also use it as a side table or an ottoman to prop up your feet. Miter saw, jig saw, drill/driver and Kreg Jig® are all you need to build it. 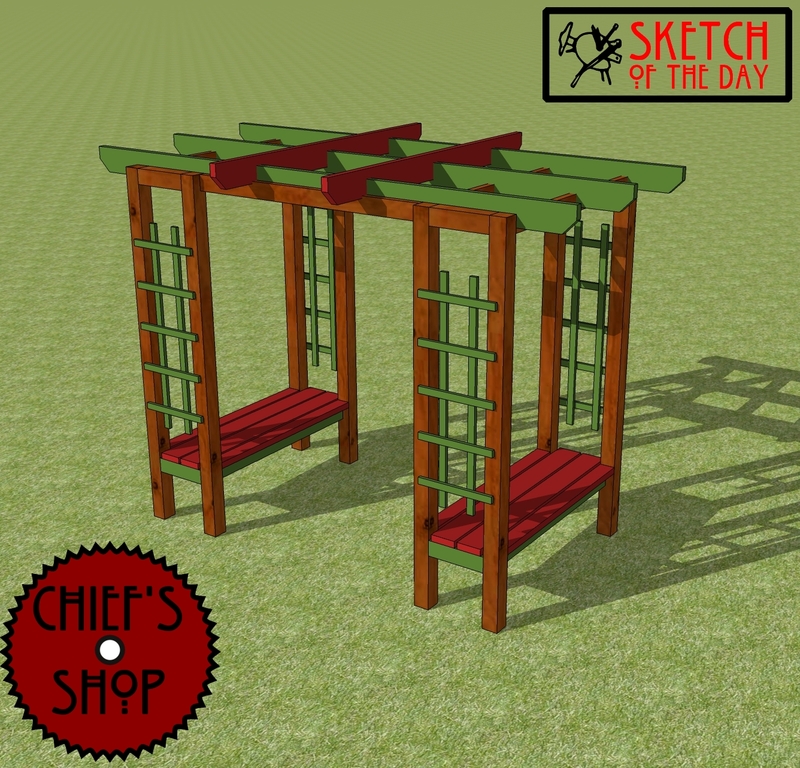 This niche arbor concept would create a special secluded space in your yard or garden. Climbing vines would make it even more secluded. 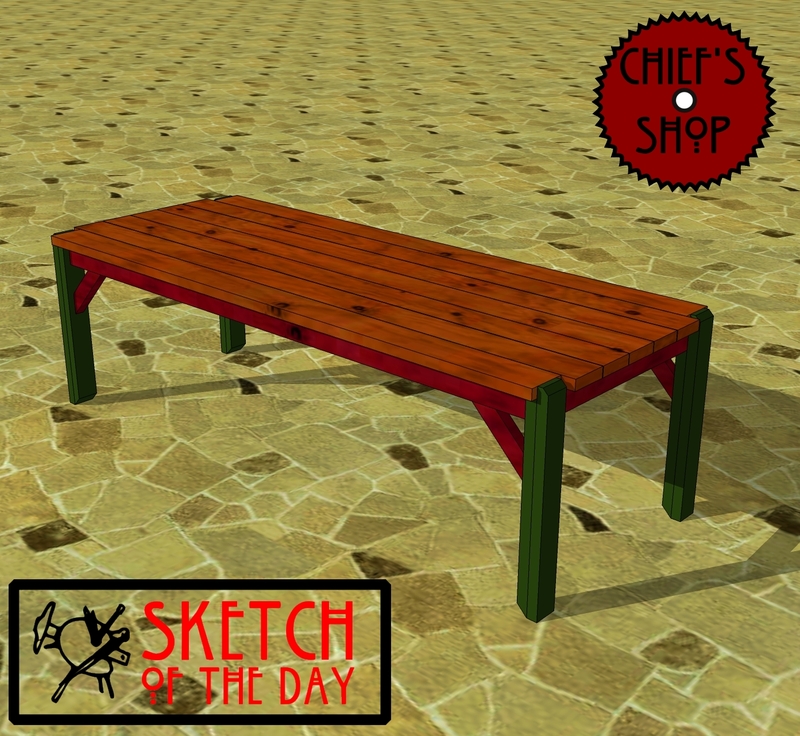 For this family patio dining table concept, I borrowed the leg design from my recent firepit bench project, and a couple of features from my family outdoor table project. 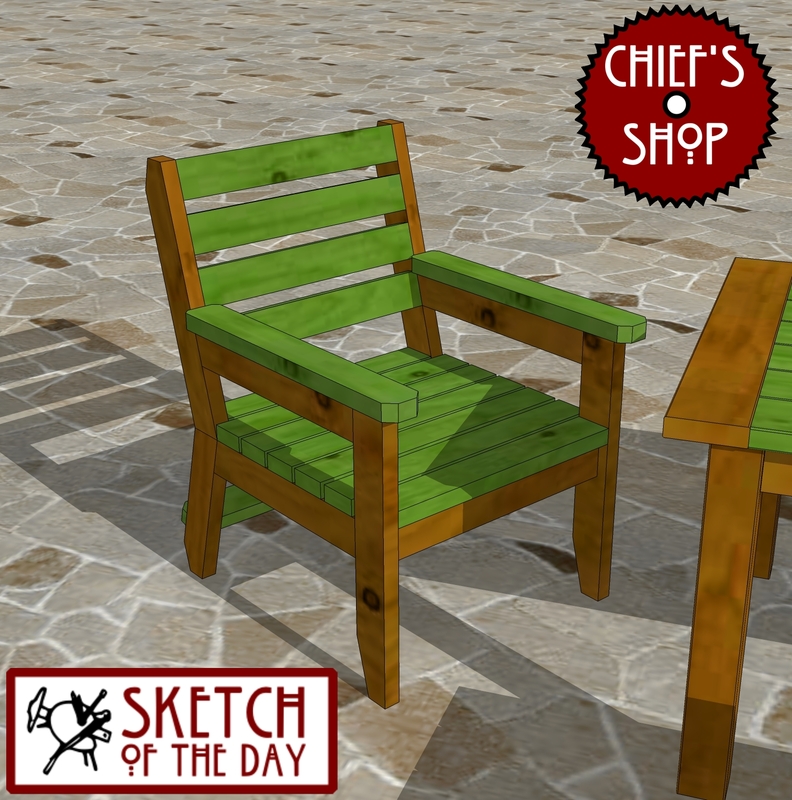 This design may become my new outdoor dining table, as I keep getting hints from the wife that I’d better hurry up and build one (like I promised a while back).